Luxe, stylish and refined, this 1920s Spanish-eclectic property found in historic downtown Bradenton will transport you to a place where Old-Florida still exists. 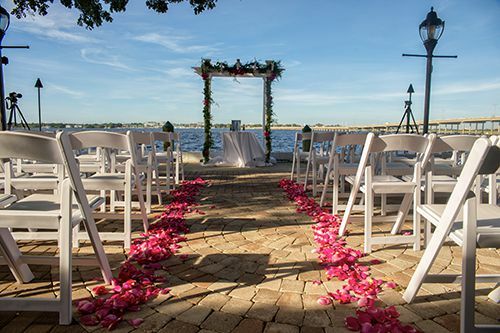 Renowned for our magical sunset views and enchanting ambiance, the PIER 22 venue is where you'll discover the perfect space for your fairytale Florida wedding. You'll find the spirit of Southern-hospitality exemplified by the exceptional client service that we provide. True to our cultural values, we understand the importance of a strong handshake, a fresh housemade meal and a helpful attitude. We're committed to providing our couples with an authentic, personalized experience. 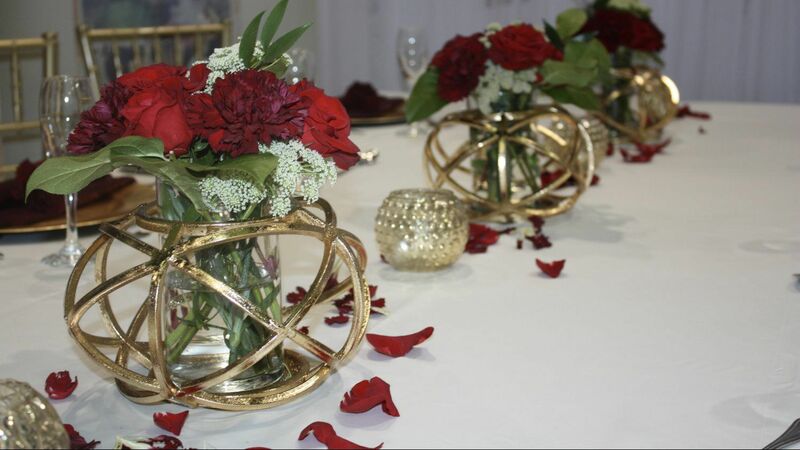 Every new bride or groom is assigned a professional event coordinator that will walk you through space planning, event design, menu creation and day of organization! An outdoor entertainment venue with photo ops at every turn. Lush oak trees and idyllic views of the Manatee River offer a picturesque backdrop for wedding ceremonies, bridal showers, rehearsal dinners, and wedding weekend parties. 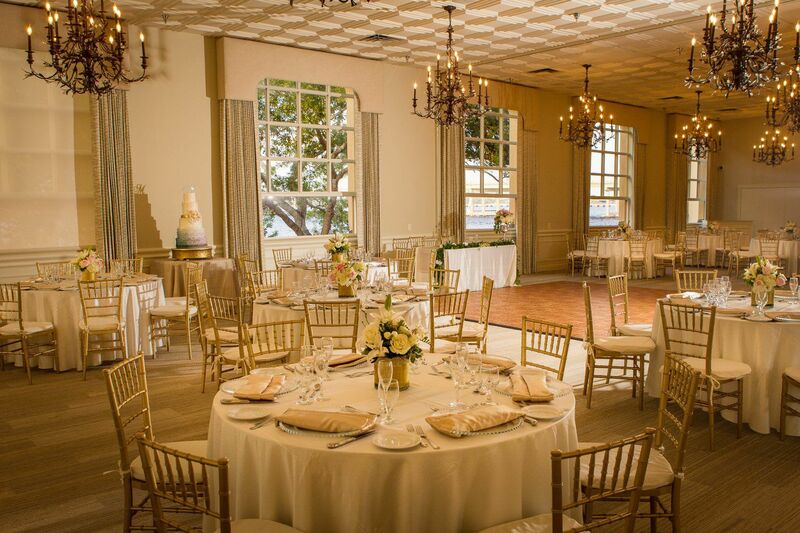 Timeless elegance is the mark of this private event space. Luxurious draperies and stylish chandeliers add a dramatic effect to any gathering. Windows overlook the water and provide gorgeous views of Manatee River sunsets. True to its name, the PIER 22 Sunset Room, lined floor to ceiling with oversized windows, offers guests a glimpse of Old Florida and unbeatable views of those famous Manatee River Sunsets. French-style doors block off the room to allow for an intimate and secluded feel, while Spanish-style archways are a reminder of the building's long-lived and historic past, which dates back to the mid-1920s. Members of the PIER 22 culinary team, directed by award-winning chef Greg Campbell, will work with you to design a menu that fits your event schedule and budget, and one that incorporates fresh seasonal ingredients, anticipates guests tastes and special dietary needs while maintaining visual appeal and exquisite food presentation. hors d’oeuvres OR select from our premium options for a more individualized menu. Choose between hosted or cash bar with wine, beer and liquor options or work with your catering coordinator to create a signature cocktail to offer a sense of personalized embellishment for your celebration! Prices billed on consumption. *Pricing starting at $30 per person not including premium selections. Additional options are available. 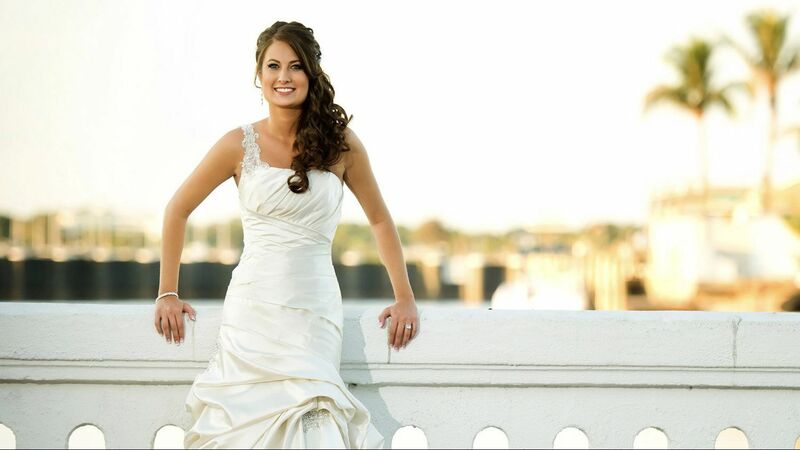 Please ask your PIER 22 venue coordinator for help with tailoring your wedding menu. Please ask your PIER 22 venue coordinator for help with tailoring your wedding menu. Buffets are refreshed for one full hour. *Pricing starting at $34 per person. Additional options are available. Please ask your PIER 22 venue coordinator for help with tailoring your wedding menu. A fun alternative to your typical dinner reception, brunch buffets are a unique spin-off from the more traditional. Brunch buffets can also be incorporated into your wedding weekend itinerary. 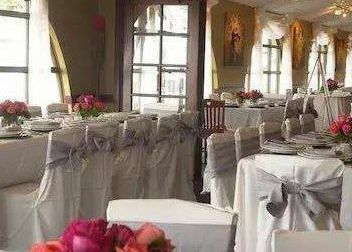 PIER 22 wedding professionals can also help with planning the perfect brunch-buffet welcome event or newlywed send-off! Why not try a specialty cocktail bar! Pick from brunch favorites like our signature Bloody Mary, Bellini &/or Mimosas! Prices based on consumption. Coffee, juice, and tea also included. *Pricing starting at $26 per person not including premium selections. Additional options are available. 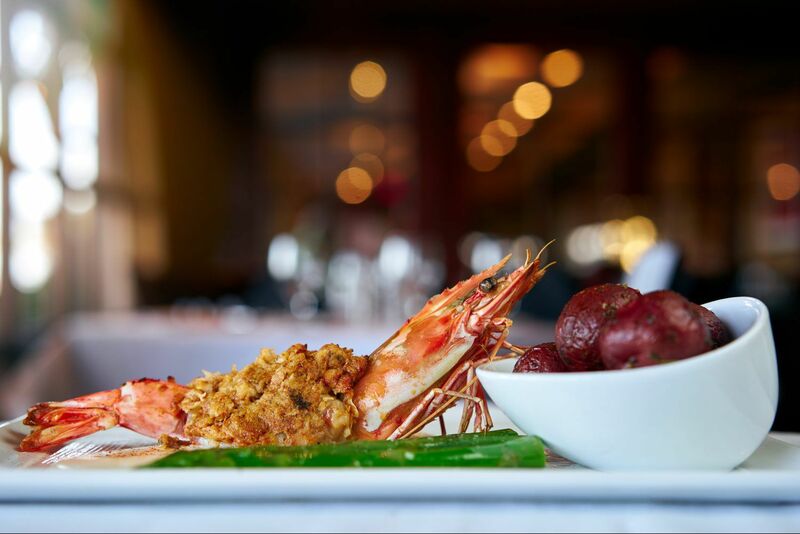 Please ask your PIER 22 venue coordinator for help with tailoring your menu. *Pricing starting at $34 per person not including premium selections. Additional options are available. Please ask your PIER 22 venue coordinator for help with tailoring your menu.